Bangkok, known as the shopping capital of the world due to it's large number of shopping malls, markets and shops is not only a haven for shopping. Well, that's also what I thought before I came to visit this amazing city in Thailand. I discovered that apart from being a shopping paradise, Bangkok is also home to many attractions such as parks, museums and temples. On our second day at Bangkok, we took the chance to visit Madam Tussauds Wax Museum located on the 6th Floor of Siam Discovery right at the heart of Bangkok. Madam Tussauds is a home to over 90 wax figures distributed on 10 zones. 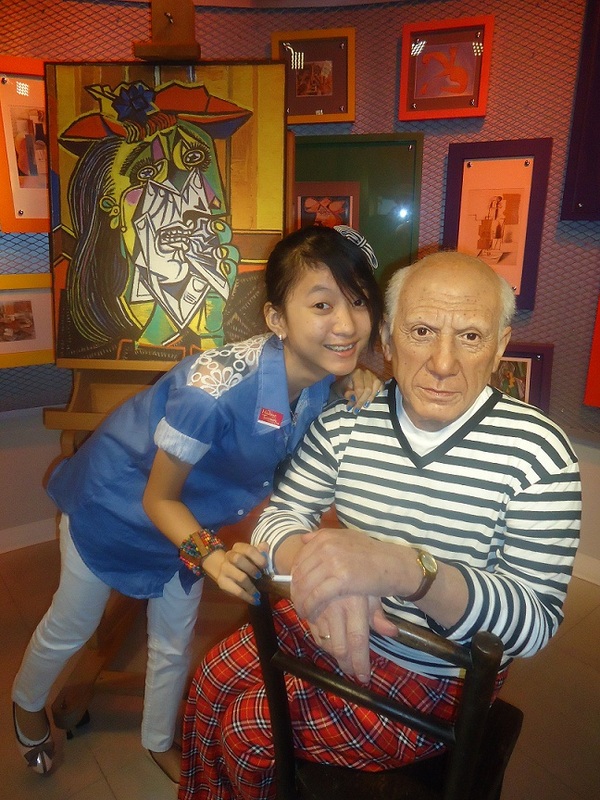 Inside the museum, you will get that chance to see, touch and even have a photo taken with your famous international celebrities. 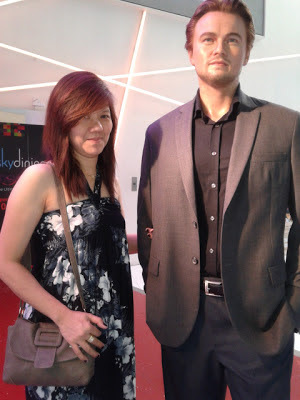 Political leaders, artists and international showbiz personalities were among the subject of the wax figures and you may be surprised that they appeared to be there "for real" as the wax figures were made exactly how these personalities are, copying exactly their facial features, hair, skin tone, eyes, physique... everything! Me, posing with a known political leader. Can you recognize him? Here are more of our favorites! How about posing with your favorite sports personalities? And how about seeing yourself giving a speech on TV? 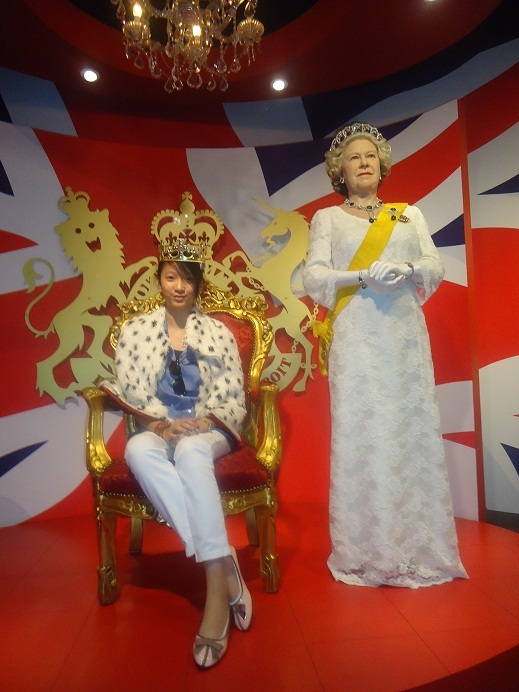 These are just some of the many exciting things that you can see and experience inside the Madam Tussauds Wax Museum. I think you should prepare extra batteries for your cameras and cell phones as well as extra memory cards as you will never ran out of exciting photo opps with all your favorite stars. 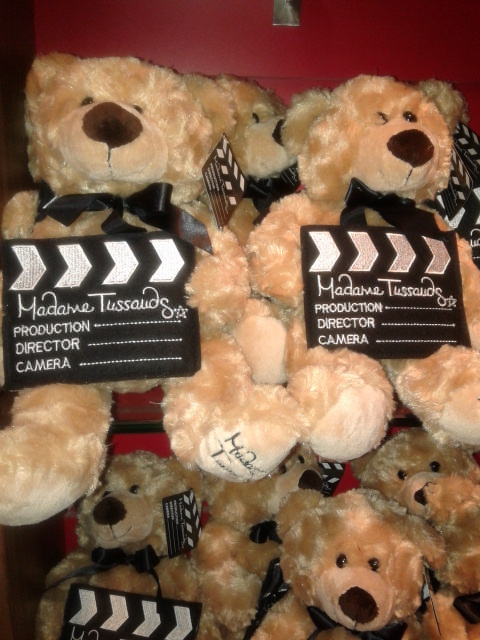 You can also end up your visit to Madam Tussauds by grabbing some souvenir items at the museum's souvenir shop located near the exit. Prices ranging from THB50 to THB500. So if you happen to visit Bangkok and you want to experience a different excitement, apart from shopping of course, then you can have a visit to Madam Tussauds Wax Museum. It is ideally located right inside the Siam paragon mall and near to MBK mall so, it's not really out of the way if you want to experience a different kind of fun. Tips : The entrance ticket to the museum is being sold at Siam Paragon at a discounted price of THB680. It's original price is THB800. But I got my tickets from the hotel's tours and travel office and it's much cheaper at THB550. If you want, you will also have the option to buy a combo ticket at a much cheaper price and that includes a visit to Siam Ocean World located on the same building. Yup Allan, this is really an exciting place to visit and I'm sure your little Matt will have loads of fun. Maybe sooner, we can also have the same in the Philippines. REally fun pictures that you and the kids too. 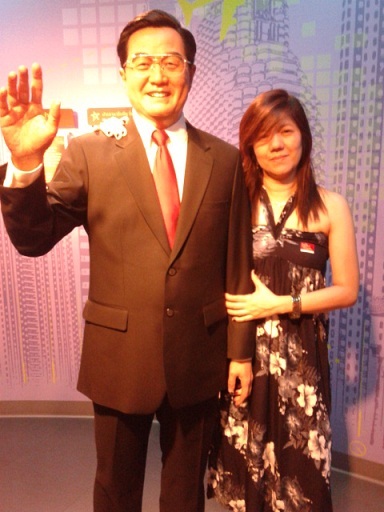 The last Madame Tussand Wax Museum which we visited was at the PEak in HK. My kids enjoyed taking pictures there too. 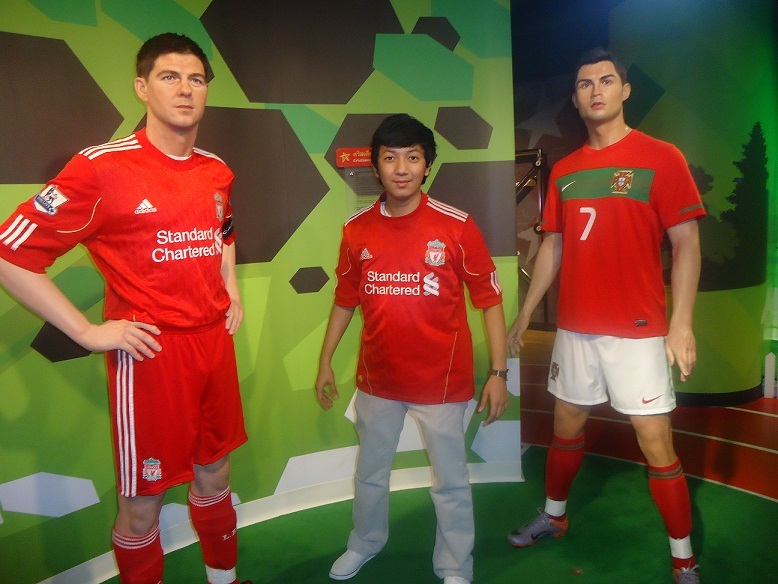 I've heard that Madam Tussauds Wax Museum can only be found in Thailand and Hongkong, is it true? Thailand is a beautiful country. I'm sure that you will not regret visiting there. Great museum! I like visiting places like that, so unique and fun! I wonder if that's already there when we last visited Bangkok three years. 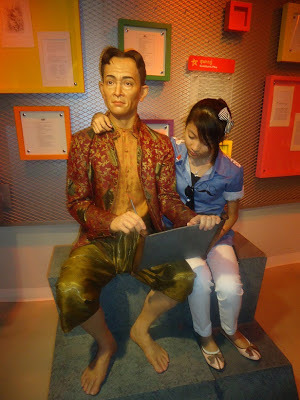 We went to Siam Ocean World but didn't hear about the Wax Museum. I want to see it too. I saw the one in Hongkong. In Thailand, I'd love to try the food. After Japanese food, I fell in love with Thai food, next is Korean. Yum! Brill. 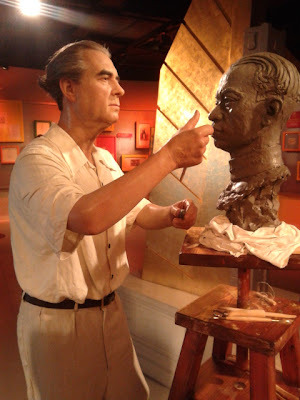 I have been to a couple of the Madame Tussaud's museums and there are hidden gems in each one. I'll remember this place so that i can visit this once we go to bangkok. i hope the soonest! Cool creations of Madame Tausud. I wish I could go there too soon. 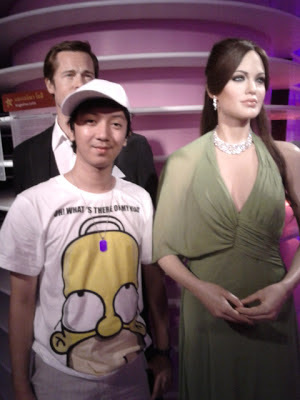 Eeiy, in of your pix, you posed with Leonardo De Caprio I think, not Brad Pitt. The way I look at it, I think it was De Caprio. :) Cheers! 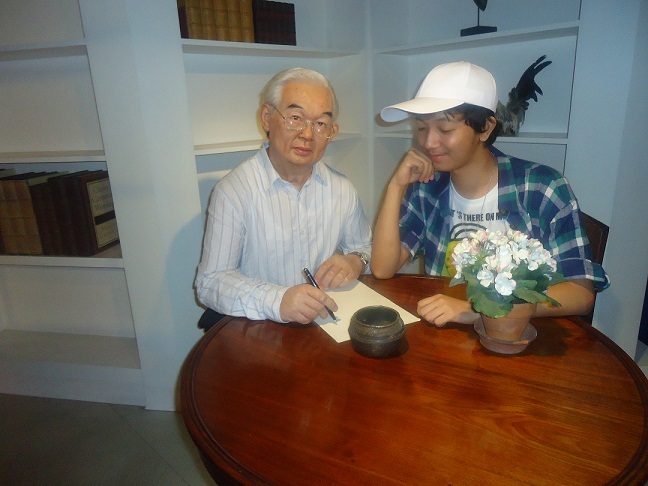 I never realized that there is also a wax museum in Thailand because I often see photos of the wax museum in HK. It must be fun to be around those personalities! I have been wanting to see a wax museum for so long.You and your kids sure had fun! Wax figures at some museum looks scary. Good thing you guys are allowed to take photos of them because back at my school days, we aren't allowed to take a single photo due to some reasons. Was that Brad Pitt on the 7th pic? I thought he looked more like Leonardo DiCaprio. It's interesting to see these life-like figures. Did you see Jennifer Aniston's wax there, too? 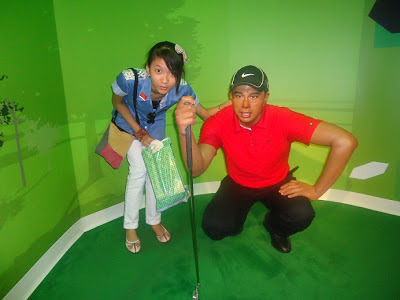 There is a Madame Tussaud's in HK but we never went to see. We did not include it in our budget. 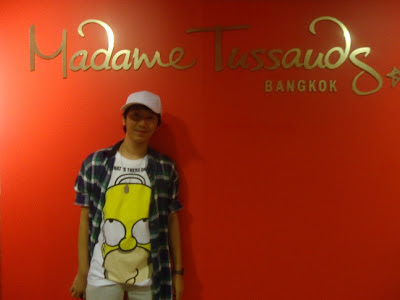 Maybe in Bangkok, I'll think about visiting this museum. The wax figures look so real, right?! It just seems a bit scary to be with so many wax figures. Very life-like! And the place is so accessible! Ive never been to a wax museum ever before and your trip there was surely a treat! They look so real! 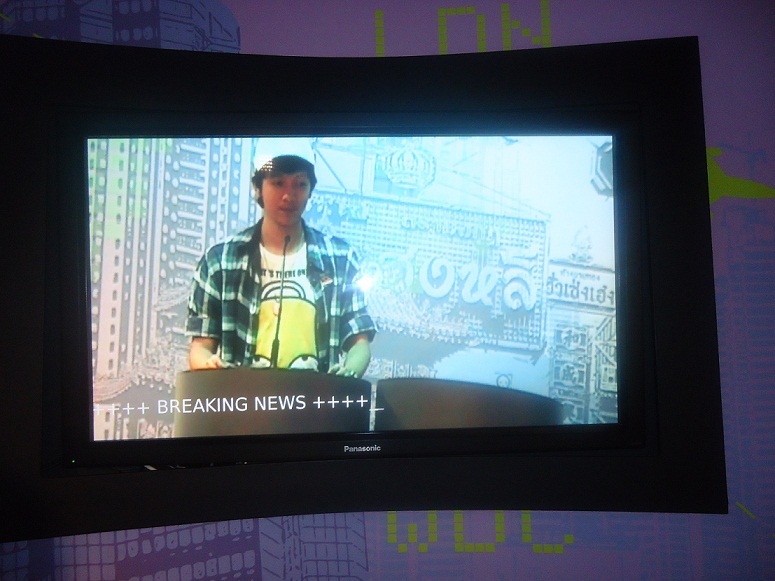 I love Madam Tussauds. We had the chance to see the family of Queen Elizabeth when we went to UK because of that hehehe! Had the chance to take a picture with Prince William too. Oh my crush. Oh my! Super late na ang beauty ko dito. Kung di ko pa inexplore ang fb mo, di ko malalamang may travel blog ka na! Congrats! And enjoy traveling around the world with your kiddos! Miss you sissy!